Tridont Dental Centre is proud to offer dental implants in Brampton, Ontario through our team of qualified and experienced dentists. Although there are some alternatives to implants, such as fixed bridges, they generally do not last as long; an implant can last a lifetime if you care for it well. Other options can also put adjacent teeth at increased risk for damage, as they may require alteration of healthy teeth to support the restoration or can have an adverse effect on gum tissue. 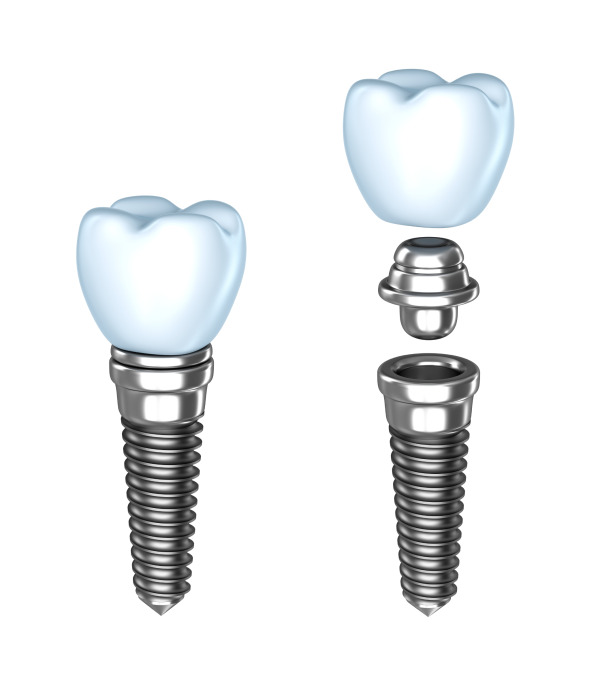 Our Brampton dentists recommend dental implants as the best way to replace missing or severely damaged teeth. Secured in the jaw, your dental implant fills the gap where a missing tooth used to be, so you can talk clearly and regain normal biting and chewing power. It also can stop your other teeth from shifting out of alignment, maintaining the shape of your face. Implants get rid of unsightly gaps that can diminish your confidence and damage your oral health. Most people won't even be able to tell you've had the implant put in! At Tridont Dental Care, our Brampton dental implant dental team understands how important it is for patients to be able to get the right restorations for improving their oral health. For patients in otherwise good oral health, dental implants offer the permanent and secure teeth replacements that are necessary for restoring your natural function, as well as a healthy smile. To determine if a dental implant will best benefit you, we begin with an initial evaluation in our Brampton, Ontario dental office. Traditional implantation cases may require multiple appointments. Even so, implantation technique and technology has improved dramatically over recent years, reducing down time. Most patients who get their implants at Tridont Dental Centre to go back to work the same day as their procedure. Tridont Dental Centre has multiple dentists who can assist with both implant placement and restoration. Dr. Vikas Soota has received a special certification in implantology, and Dr. Mario Pistol is qualified to handle all stages of the implant procedure. You can feel confident knowing that we also have a periodontist (Dr. David Leung), oral surgeon (Dr. Salman Rashid) and additional general dentists to support implant work. Our friendly hygienists and office staff round out the complete implant process offered right from our Brampton dental office. We're committed to working together as a team for continuity of care and long-lasting results. Get Your Dental Implant Today! To schedule your consultation for a dental implant in Brampton, Ontario at Tridont Dental Centre, call our office at (905) 454-4010, or use our convenient online appointment request form. *For the $65/mo dental implant special, some conditions may apply. Call us for details.